On the back of a record entry, the 2017 Britam Kenya Open starts on Saturday at Nairobi Club. This year’s event has seen an unprecedented number of entries since the Britam Kenya and Tennis Kenya partnership was mooted. There are a record 165 players from different parts of the world entered to compete for the KSh.1.325 million purse on offer for prize winners. Ninety men and 75 women will battle for top honors in this year’s event. Saturday will see the start of the qualifying rounds where 50 men and 21 women will be seeking eight and four slots in the main which starts on Monday. Hosts Kenya make up the bulk of this number with Belgium and Japan also represented in the curtain raiser building up to the main event. Awaiting the qualifiers in the men’s and women’s main draws, defending and former champions have descended on Nairobi Club. The Congolese team comprising last year’s women's doubles champion and singles' semifinalist, Nancy Onya arrived on Thursday night. Onya the sole woman on the Congo DRC’s contingent is joined by Christian Okota Diamba, Arnold Ikondo and Nkanku Mukeba who are visiting Kenya for the first time. Others are Christian Saidi and Sarma DaSilva Nkulufa both members of the team that visited Nairobi in November last year for the Confederation of Africa Cup of Nations. Saidi also competed in the Britam Kenya Open in 2015. A steep challenge awaits Kenya’s defending men’s champion Ismael Changawa Mzai as former title holder Duncan Mugabe from Uganda jets into the country on Sunday to try and put a stop to a hat-trick of titles by Mzai. Zambia’s Edgar Kazembe, also a previous men’s sinlges' title holder is also expected in the country. Rwanda is represented by Olivier Havugimana and Ernest Habiyambere a former junior sensation with the ITF East African Training Centre. Those looking to keep the men’s title on Kenyan soil include Kevin Cheruiyot, Ibrahim Kibet Yego as well as fast rising junior Sheil Kotecha who will be looking to join the big boys club. Uganda’s challenge will be led by Mugabe, ably assisted by David Oringa and Boris Aguma. Oringa and Mugabe are fresh from Baku, Azerbaijan where they represented The Pearl of Africa in the Islamic Solidarity games. A family affair played out in last year’s event with Mzai Changawa’s sister, Shufaa taking the women's crown. A tough task awaits her this year as she takes on local challenges from another fast rising, and Kotecha sibling, Sneha. Shufaa and Sneha are just back from Chisinau, Moldova where they ably steered the country to an impressive performance after a two year hiatus from the World Cup of Ladies’ tennis. Congolese Nancy Onya will also be one to watch out for when the women's main draw starts. 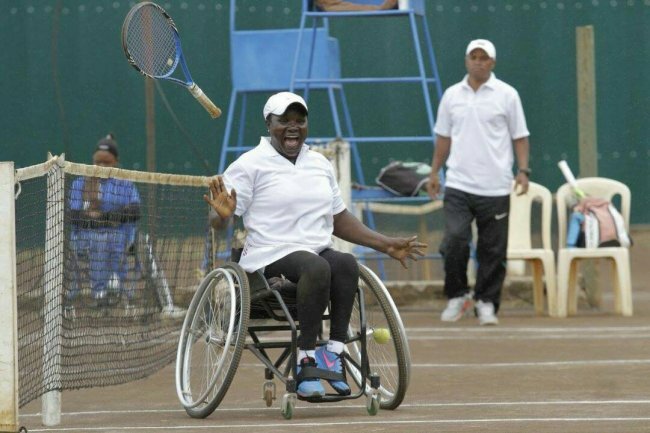 The Britam Kenya Open will also welcome wheelchair tennis players to compete. Entries from Tanzania, Kenya and Rwanda are expected in both the men’s and women's categories. There will also be competition for the young at heart in the veterans category where players who are over 35 years have a chance of bagging some prize money. It is now all systems go as we brace for what seems to be one of the most exciting Britam Kenya Open Championships.